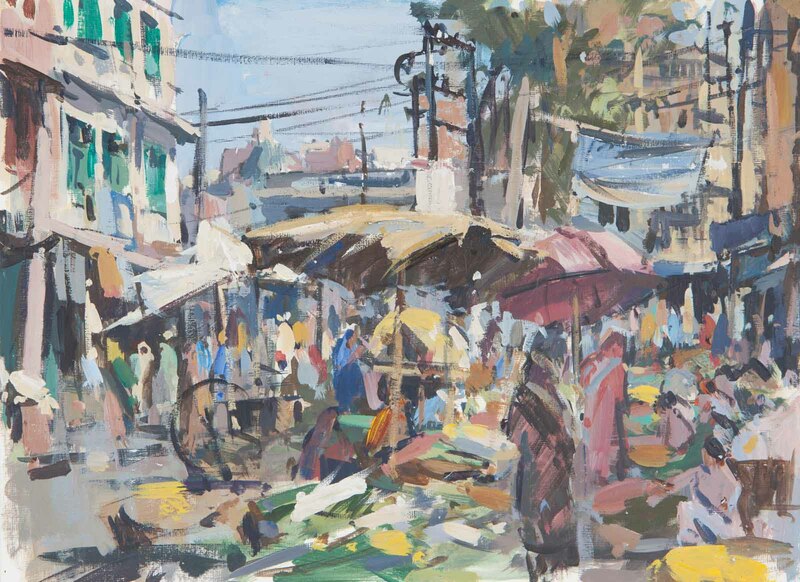 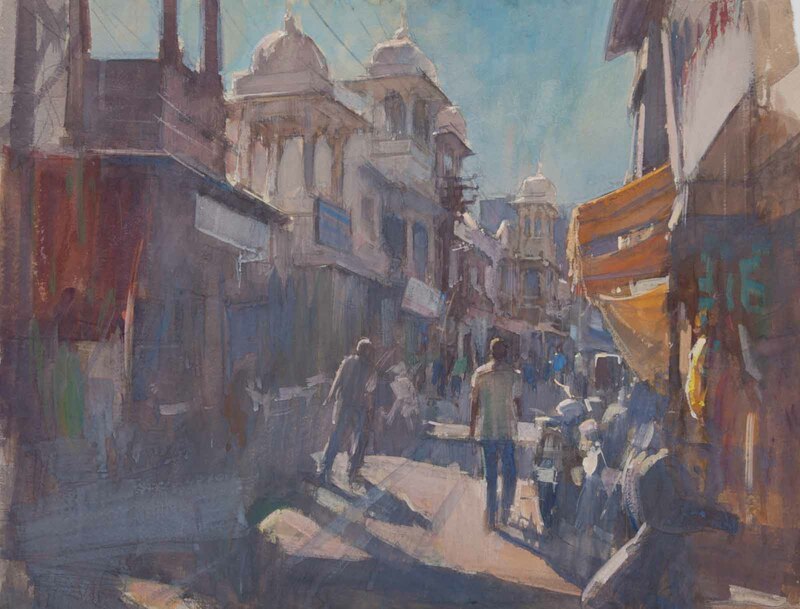 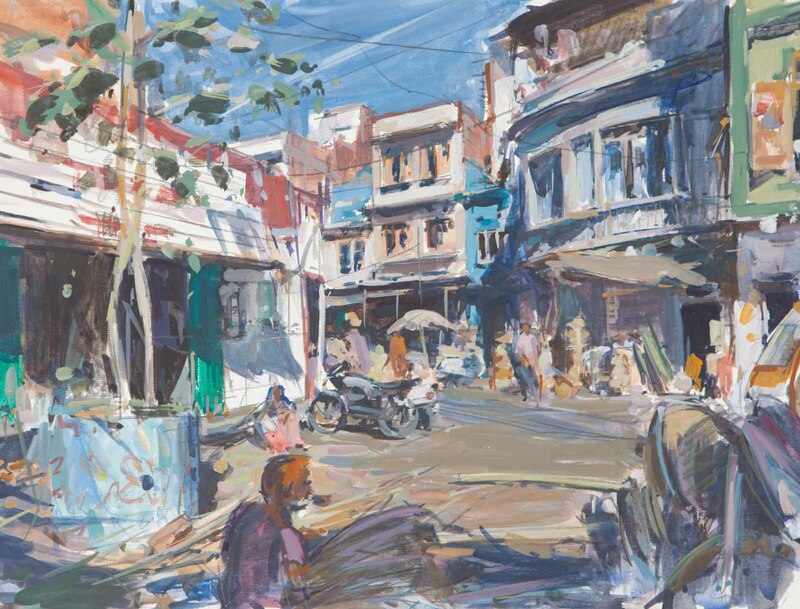 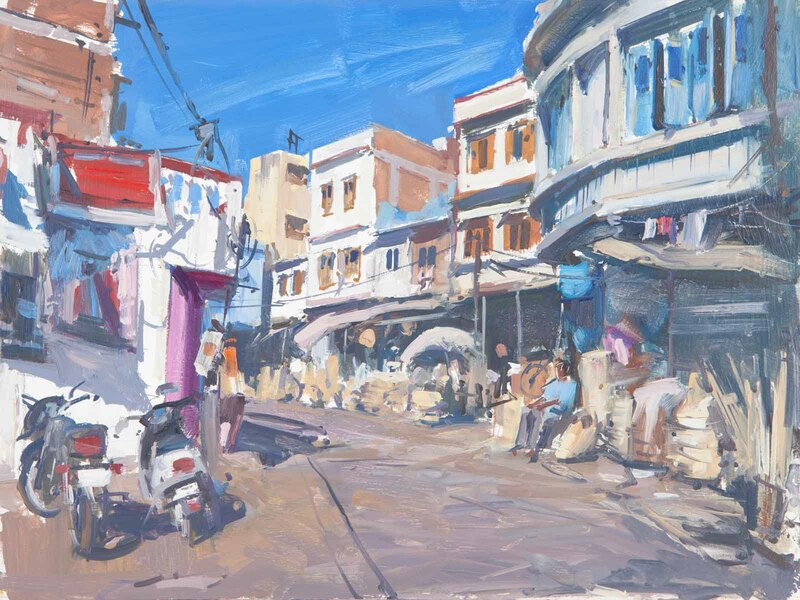 In February 2018 Tom Hoar returned to India on painting trip around Rajasthan in preparation for his much anticipated show INDIA 18. 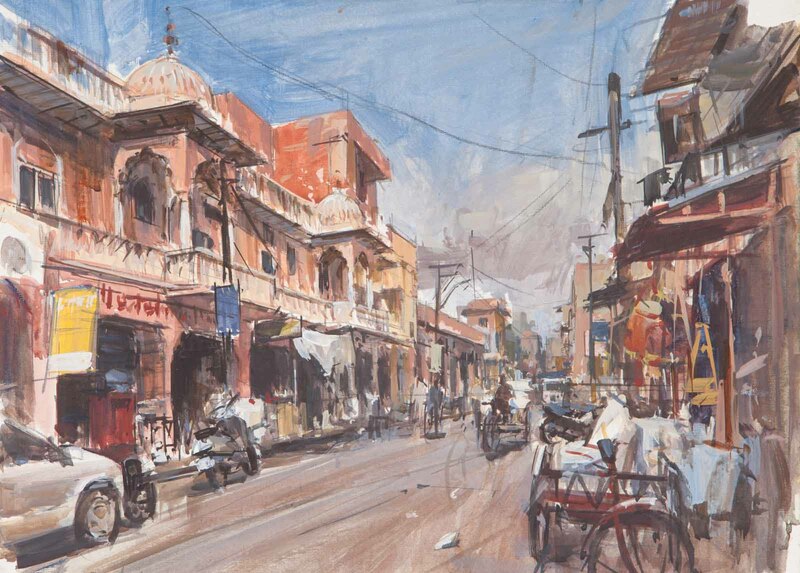 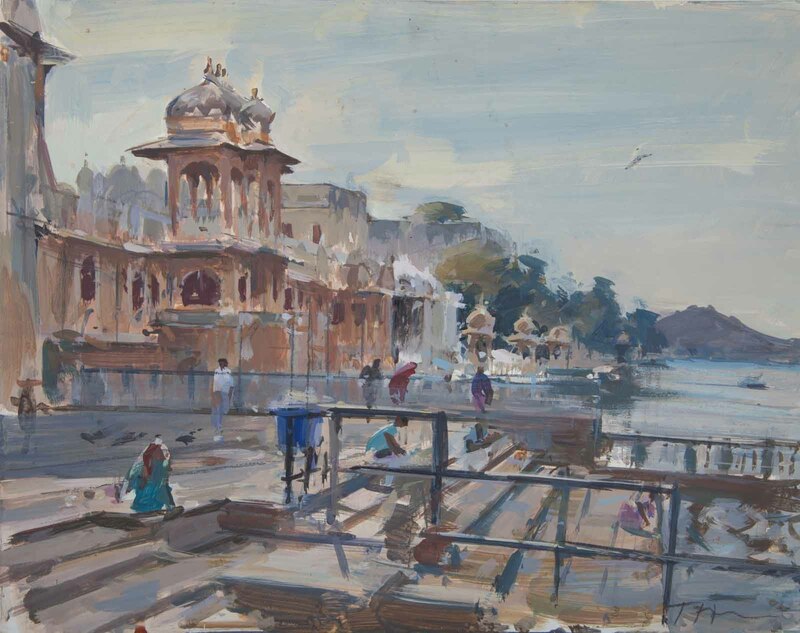 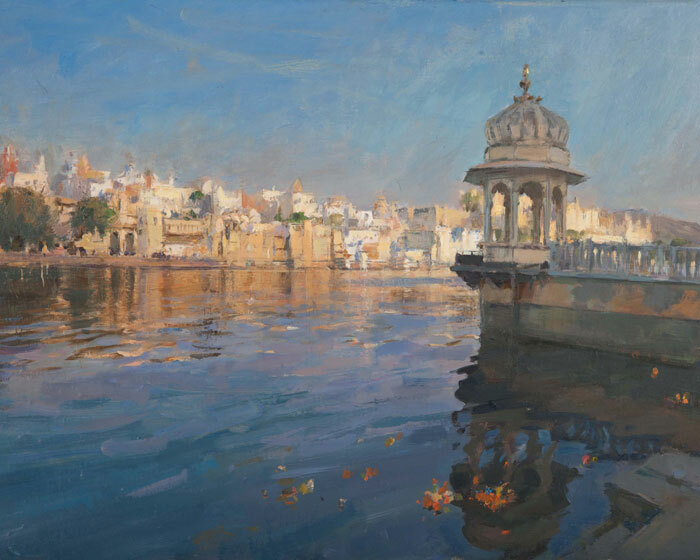 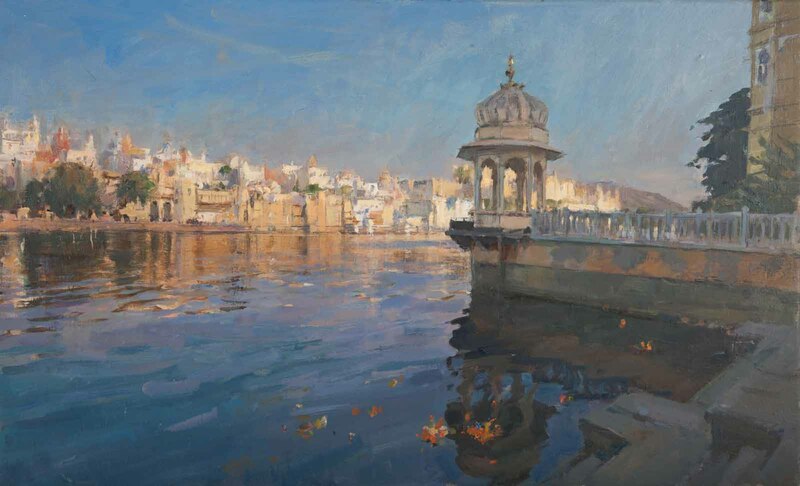 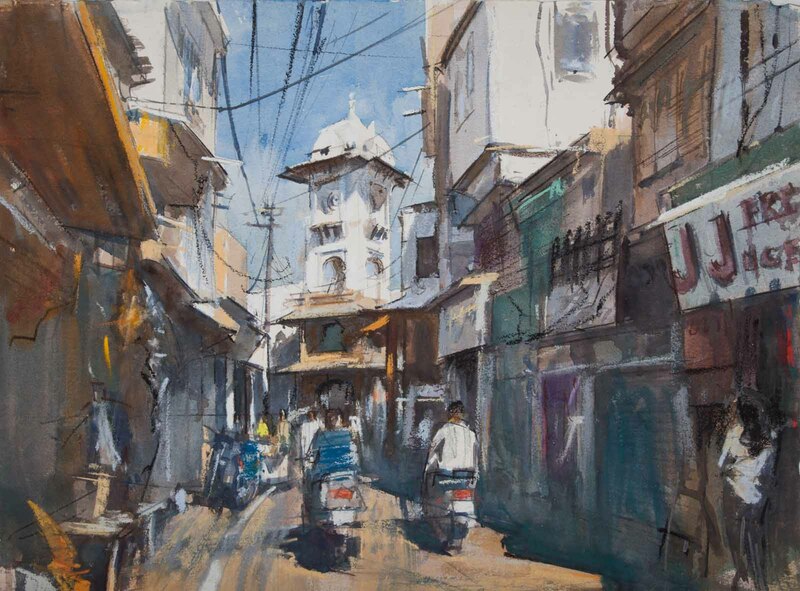 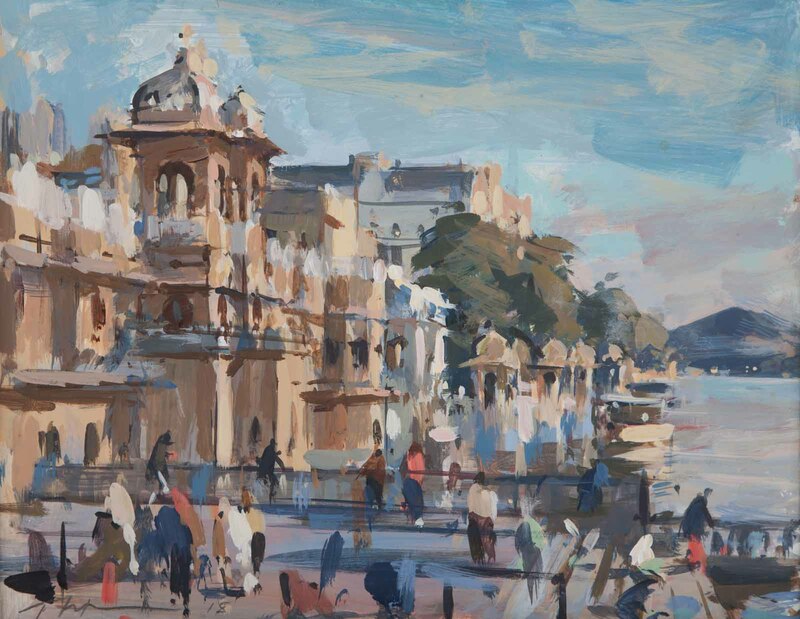 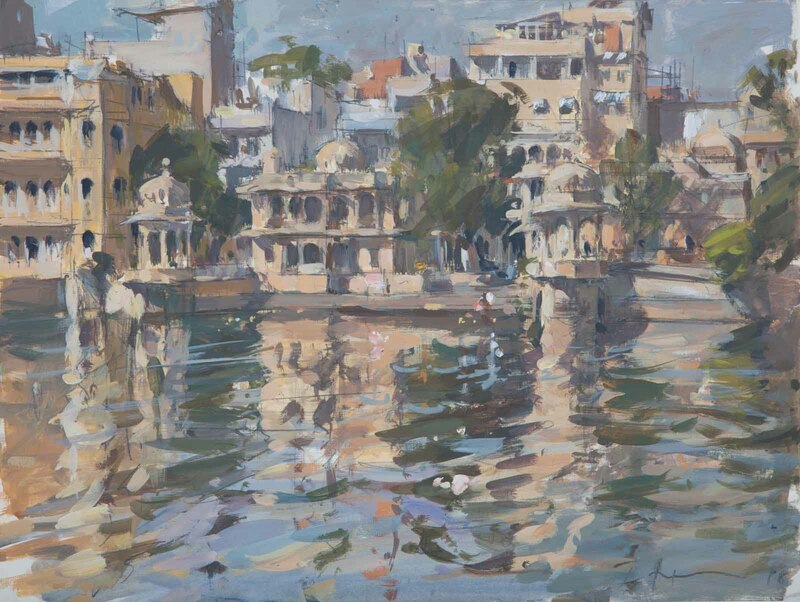 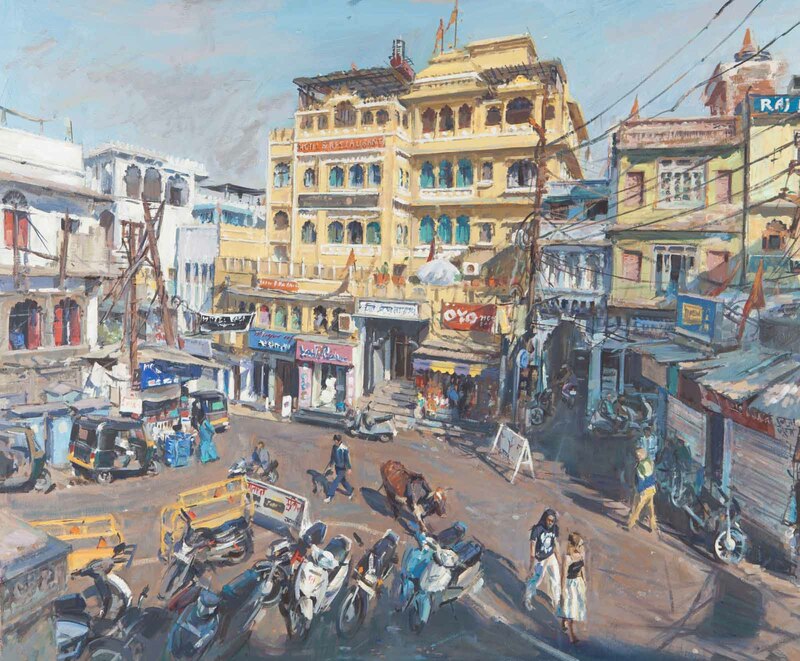 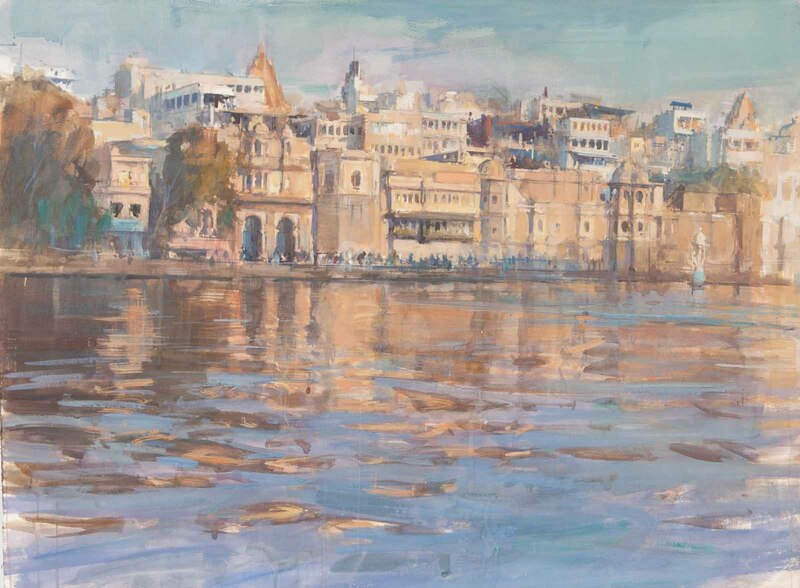 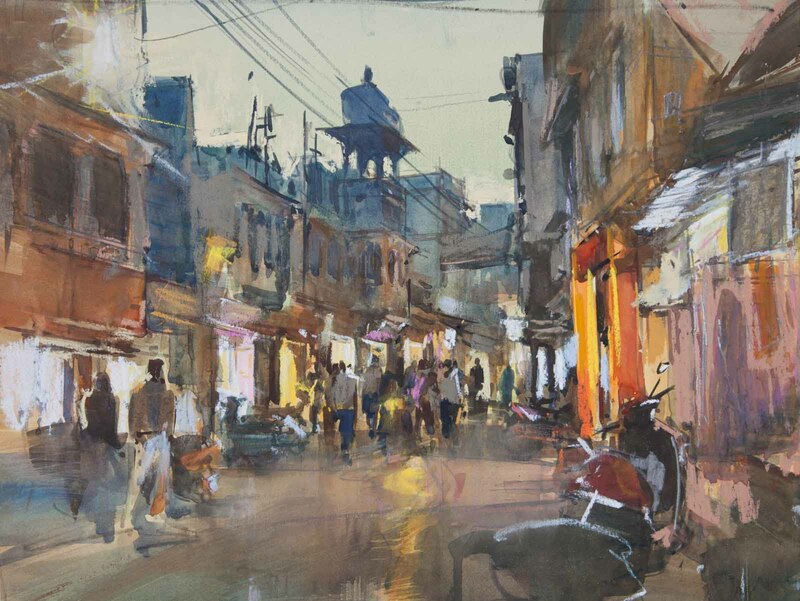 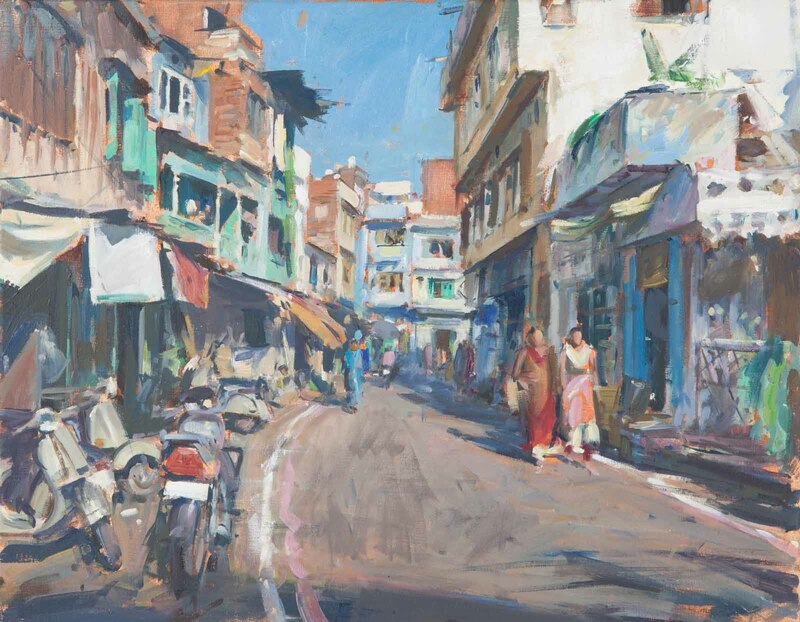 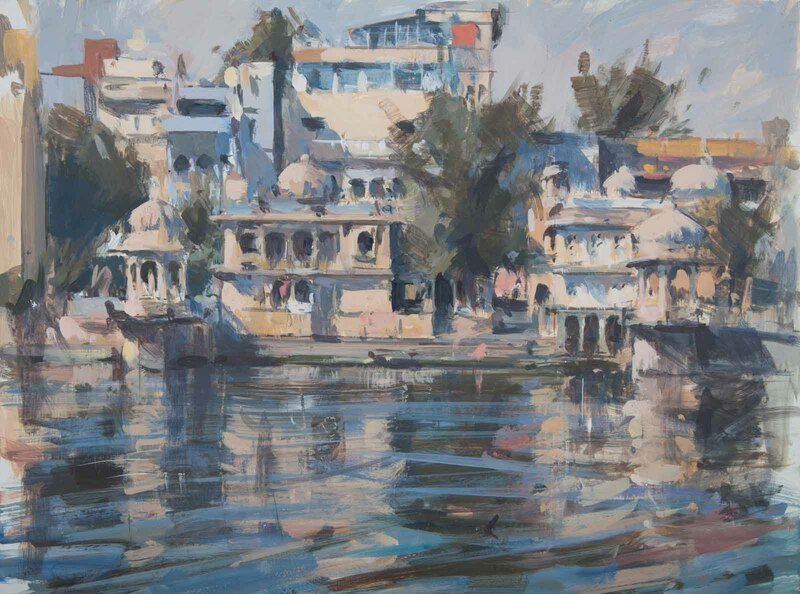 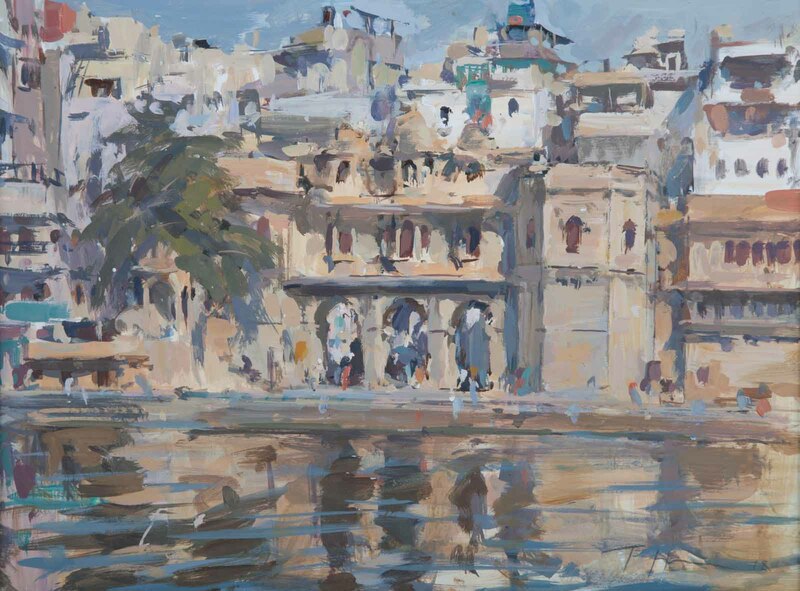 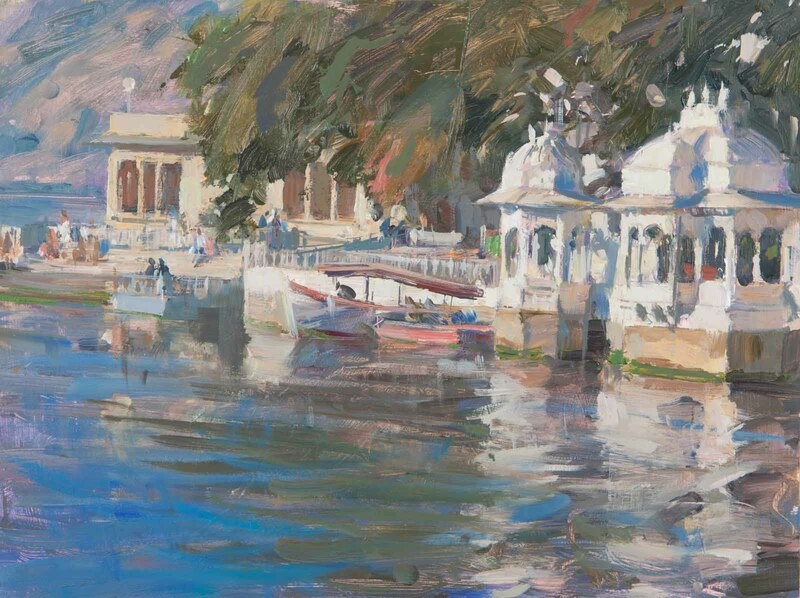 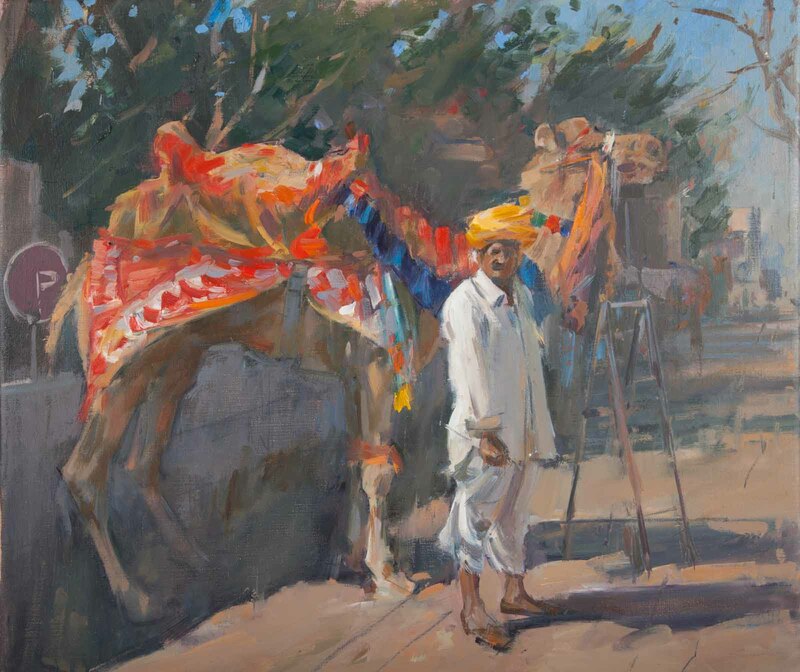 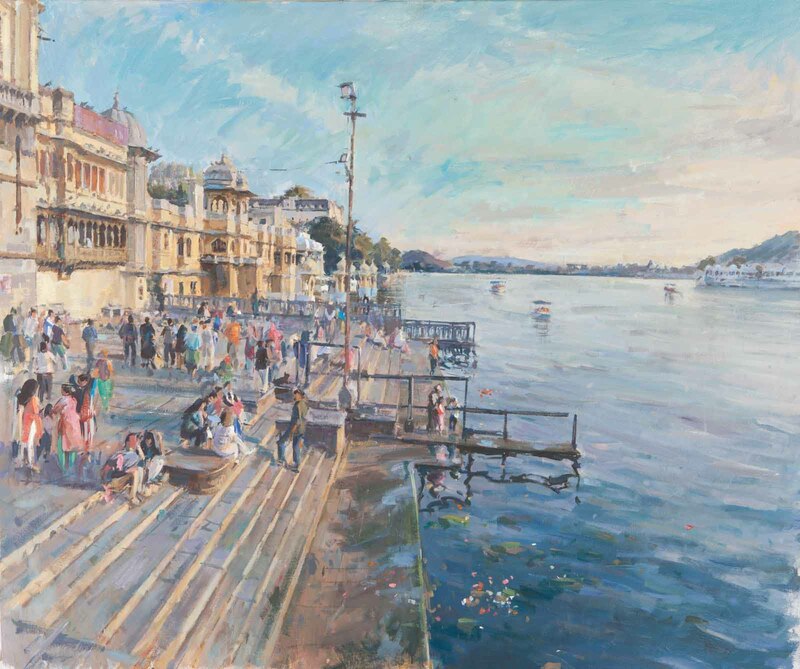 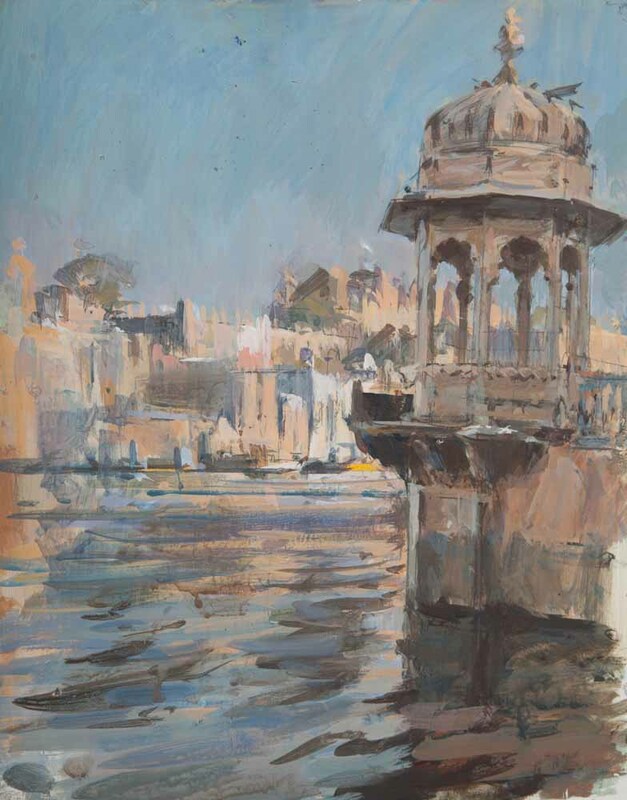 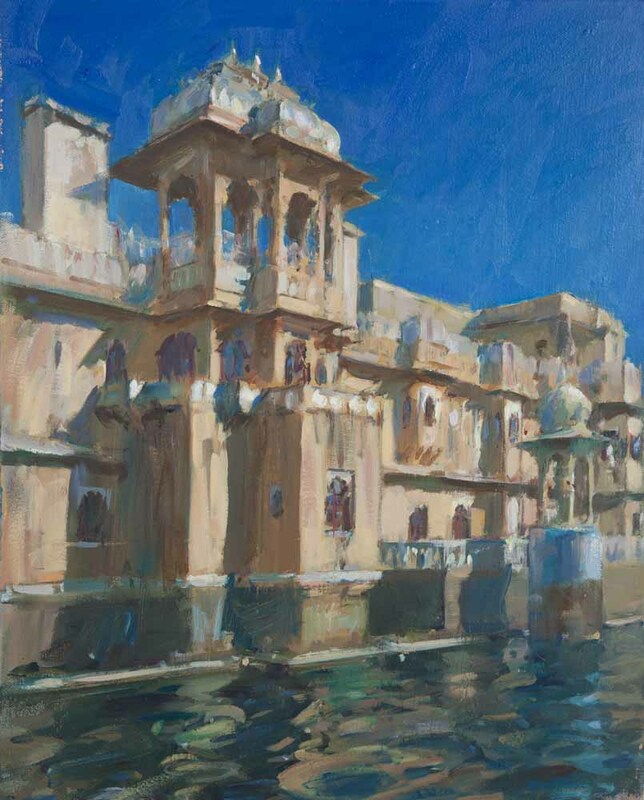 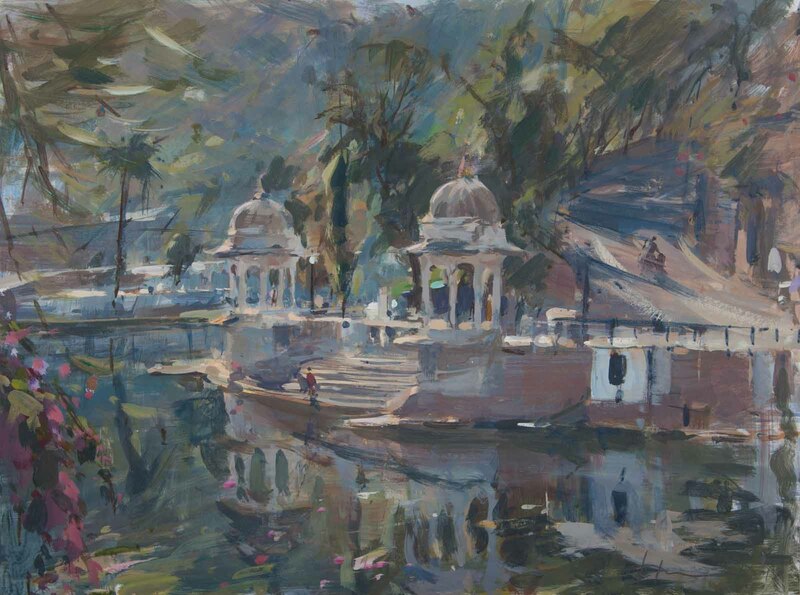 This latest exhibition is a fantastic collection of oils, watercolours and mixed media studies capturing the incredible energy and vibrancy of Rajasthan. 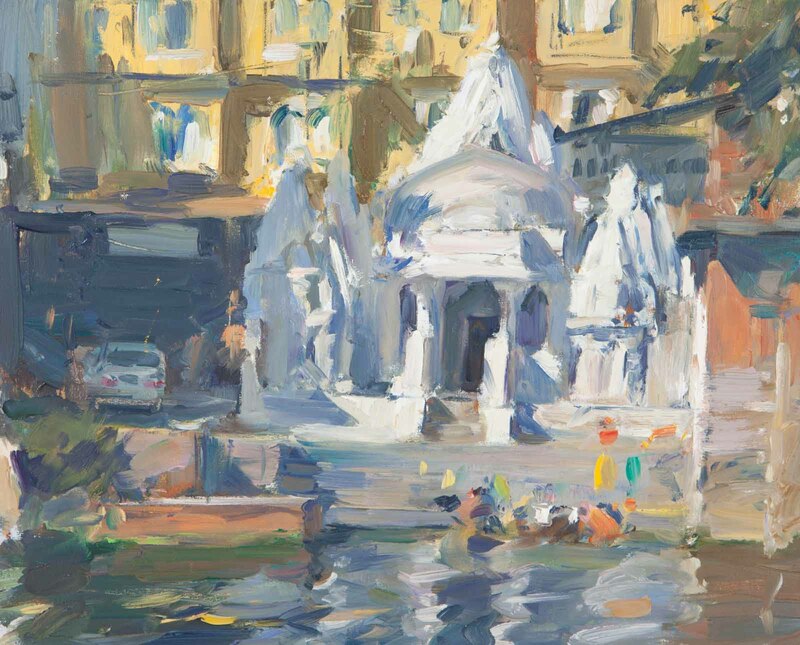 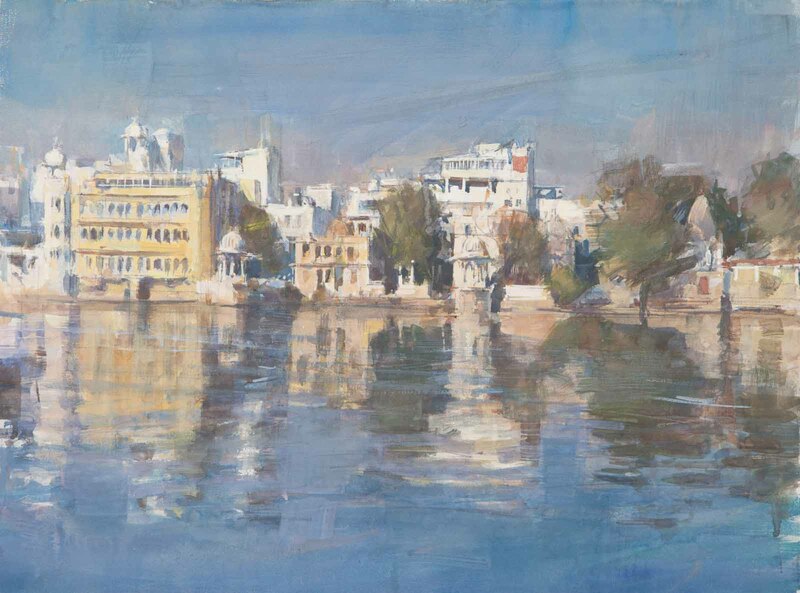 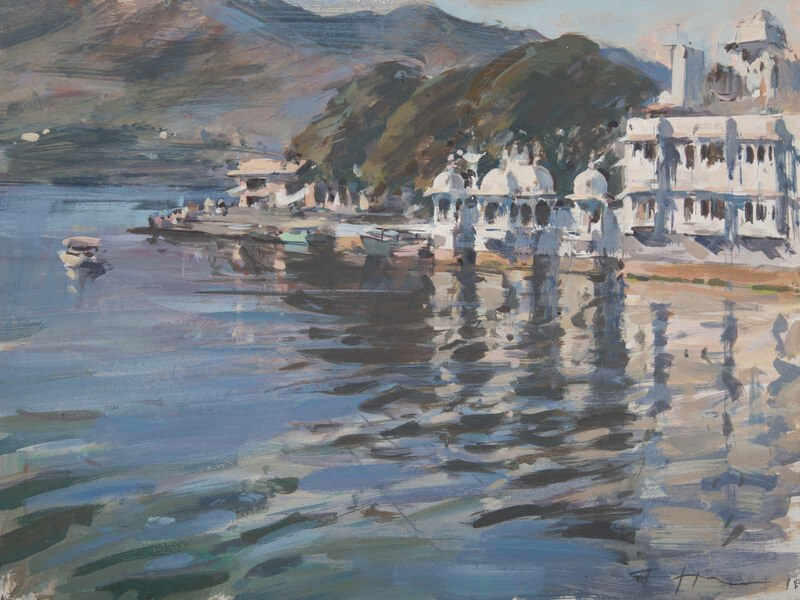 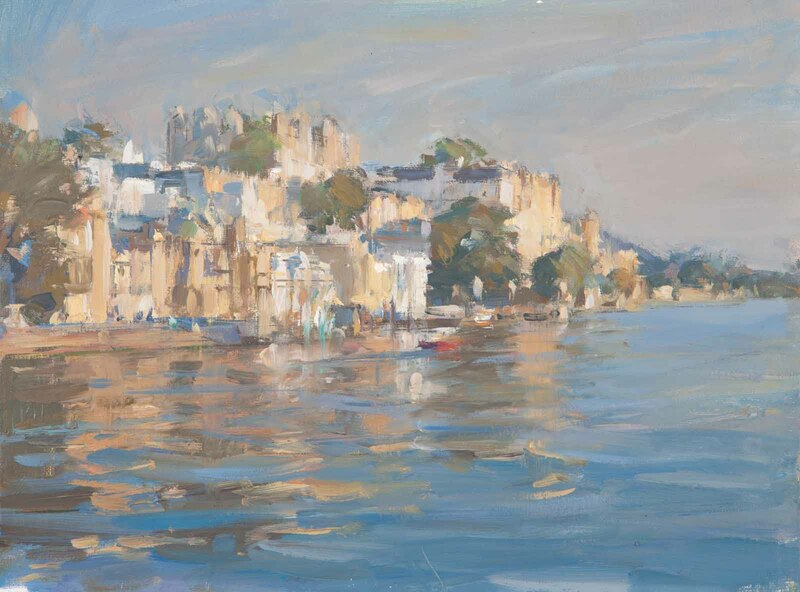 With a particular focus on Udaipur, Tom presents a mesmerising mix of light and colour over the lake and through the streets of this beautiful city in northern India. 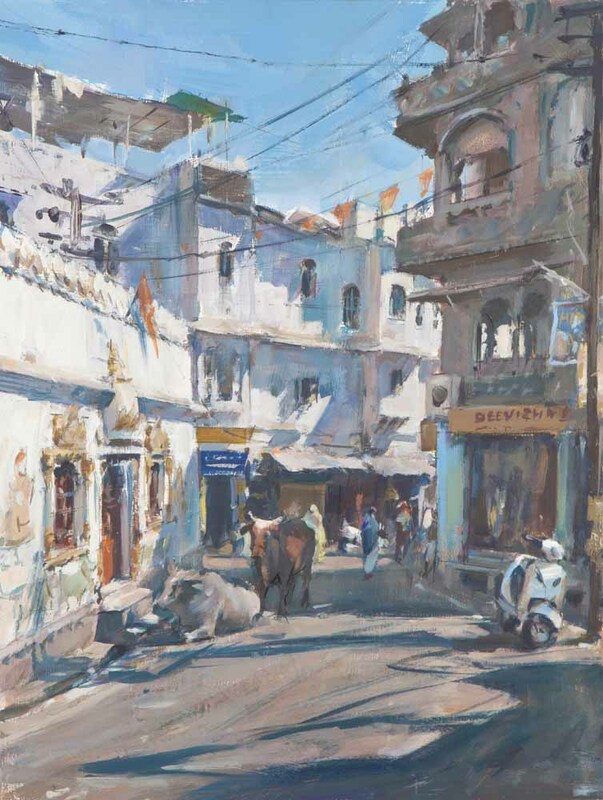 A new collection of oils, watercolours, acrylics and mixed media studies from Rajasthan.